The simple present tense is used to express a habit or action. 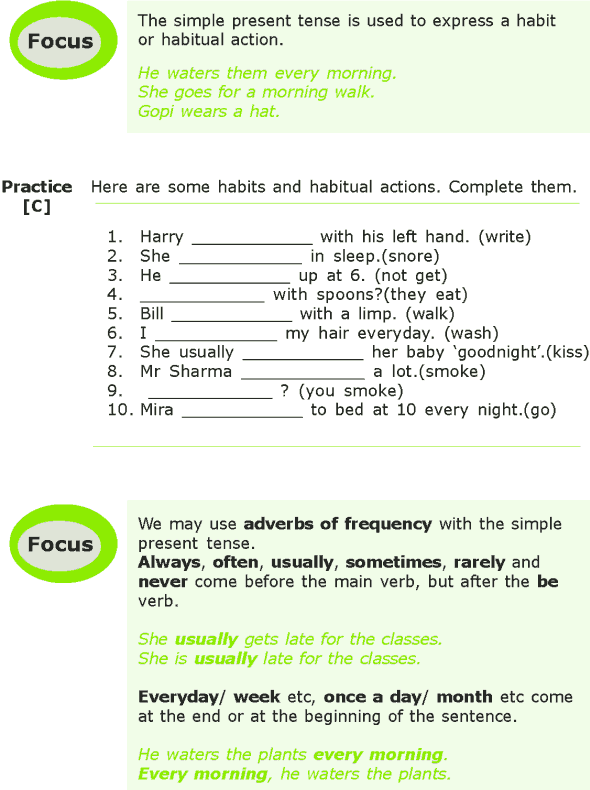 We may use adverbs of frequency with the simple present tense. Always, often, usually, sometimes, rarely and never come before the main verb, but after the be verb. Everyday/ week etc, once a day/ month etc come at the end or at the beginning of the sentence.